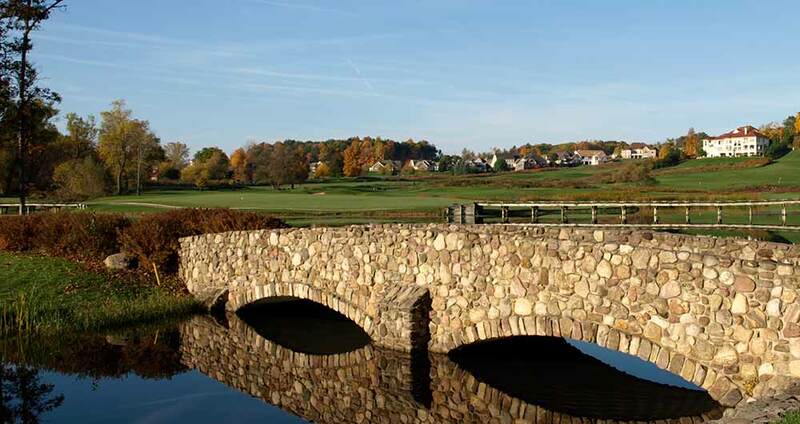 BME’s project portfolio includes new golf course engineering design and construction services for Cobblestone Creek Country Club, Greystone, and Ravenwood in the Greater Rochester area, and Seneca Hickory Stick in Lewiston, New York. BME has also provided a wide range of site engineering services for numerous well-established golf courses including Oak Hill and Irondequoit Country Clubs, and the Country Club of Rochester. 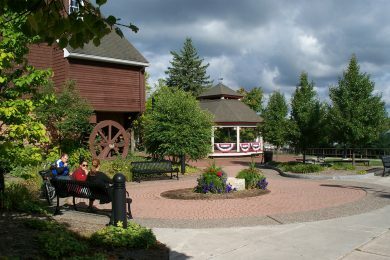 Kennelley Park Kennelley Park acts as the “Village Square” for the picturesque Village of Fairport, NY. 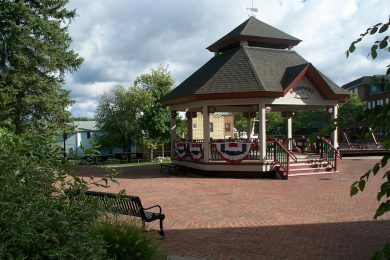 Located on the banks of the Erie Canal, near Fairport’s world famous liftbridge and surrounded by civic and mixed-use developments, this park offers a place for both summer and winter enjoyment. The revitalization of the park included the gazebo, seating areas, landscaping, and public art. 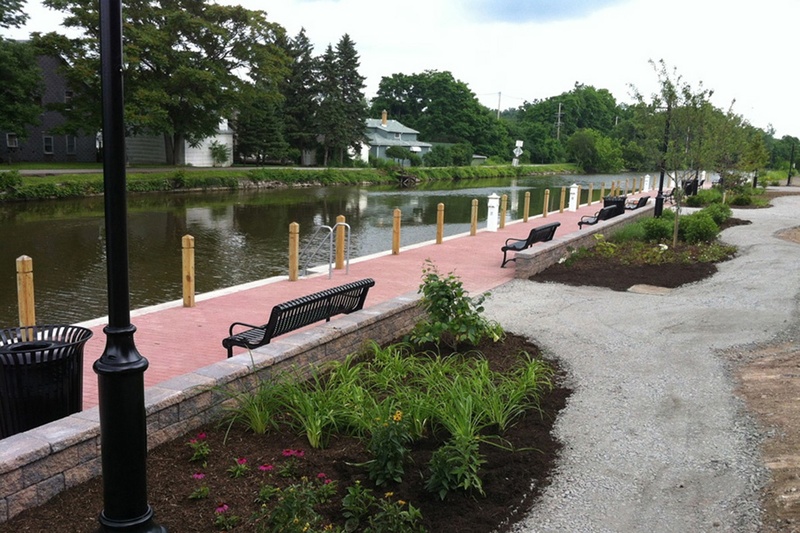 Fairport Promenade Winner of a 2013 Genesee Branch APWA Award, this project provided extended docking, mooring and pedestrian areas along the Erie Canal in the Village of Fairport, NY. 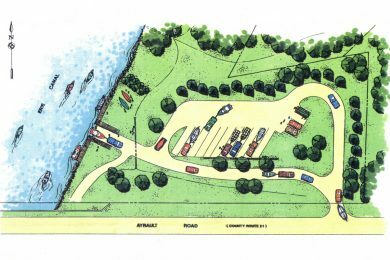 Improvements included a 525-foot poured concrete breakwall, boat docking and mooring facilities, electric and water hook-ups for boaters, 700 feet of pedestrian promenade with amenities including benches, lighting, bike racks and trash receptacles. 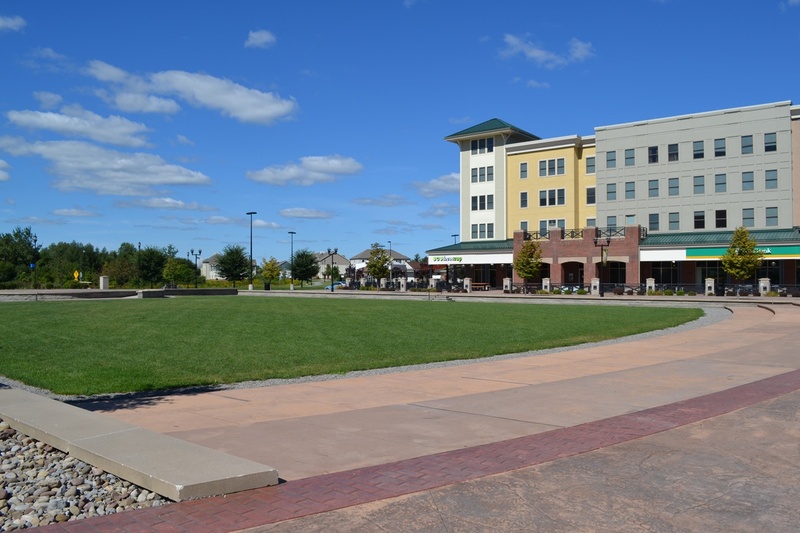 Landscaping and lighting were incorporated to create a welcoming experience. Festival Site at Park Point BME’s design of Park Point, a mixed-use commercial and student housing development just off the campus of the Rochester Institute of Technology, provided for a large central courtyard, which hosts popular concerts and other events attended by thousands of people. 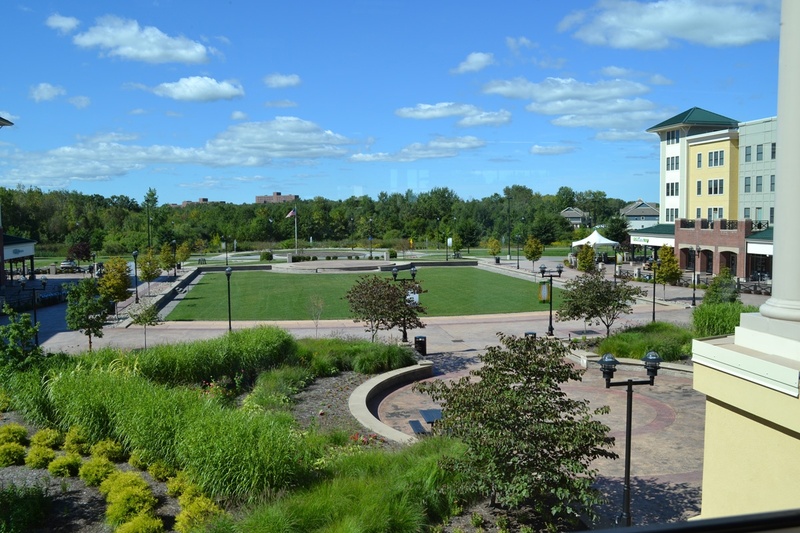 Plans included outdoor recreational and congregation spaces, extensive landscape improvements and site lighting. 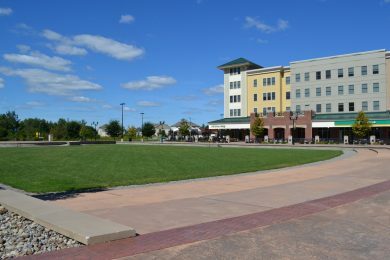 A system of trails, sidewalks and paths was developed throughout the site for pedestrian accessibility between living and commercial uses. 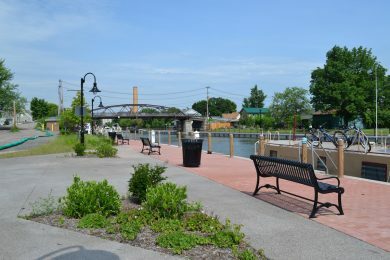 Erie Canal Boat Launch The Ayrault Road Erie Canal Boat Launch, in the Town of Perinton, serves boat users throughout the season on the historic Erie Canal. The site includes parking for trailers and vehicles, boater docking and screening for adjacent properties. 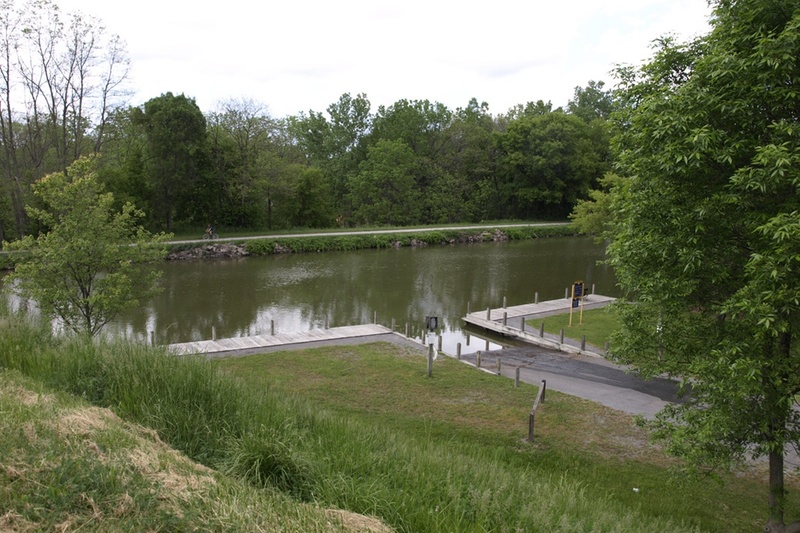 The Erie Canal attracts boaters from all over the world and this launch provides Town residents access to the recreational opportunities of the canal.